Foxes are famous for their mouse jumps (that’s what it’s called in my language, I have no idea what the official term could be). With their very sensitive ears, they can hear a mouse, even when it’s hidden under a thick layer of snow. 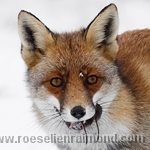 The rumour goes that a fox should even be capable of jumping as high as two metres! I’ve seen foxes leaping a few times, but I never managed to externalize this moment with my cam. They do it when you’re looking in another direction for just that one split second. They do it behind bushes, reed, or any other ugly obstacle. They do it when there’s no light at all, so they are sure there’s no way you can capture their oh so elegant and acrobatic jump. This winter I saw a fox and I just knew she was gonna jump and somehow this one seemed prepared to share her jump. 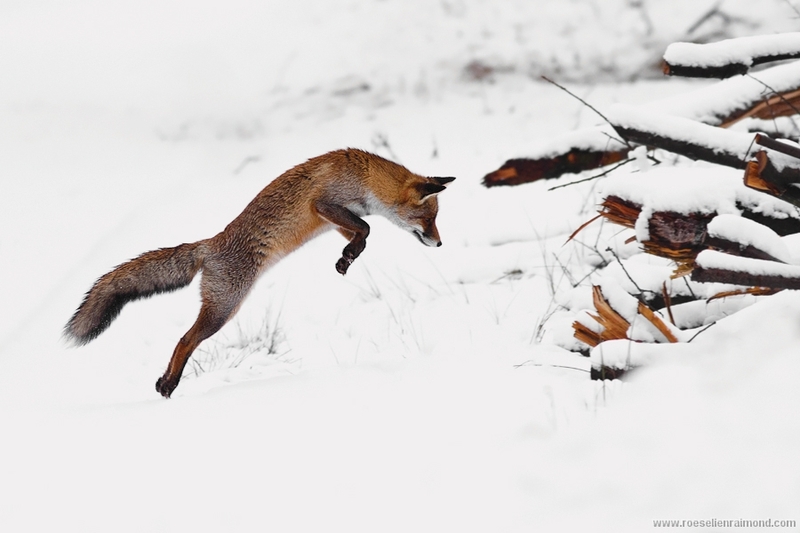 Fox making a mouse jump in the snow, trying to catch a mouse. Hi, i am looking for a picture like this. Are you selling it?